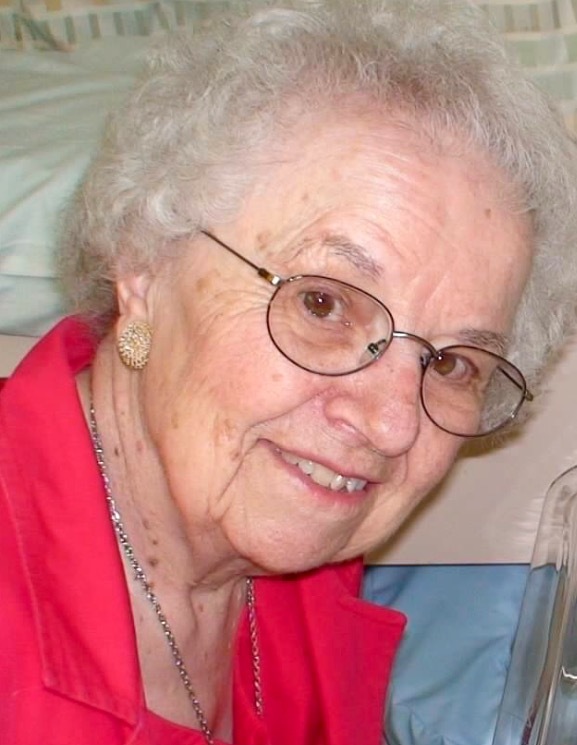 JAMESVILLE, NY – Marion Louise Motis, 100, passed away peacefully on Tuesday December 22, 2015, at the Iroquois Nursing Home following a brief illness. Daughter of Henry and Helen Melick, Marion was born on April 17, 1915, and raised in West Liberty, Iowa. There she graduated from West Liberty High School in 1932 and attended Coe College. Marion then graduated from the American Institute of Business in Des Moines where she worked for Bell Telephone Company. On April 14, 1940, Marion wed Dale C. Motis. They had one child, a daughter, Marilee. Marion was widowed when her husband was killed in action in Europe during World War II. When she was not traveling the world with her family, Marion enjoyed going to band concerts at Britebeck Park, the farmers’ market and attending Harborfest activities. Marion was a very loving mother, grandmother and friend and will be deeply missed. Preceding her in death were her husband, Dale Motis; daughter, Marilee Steinbrecher; and sisters, Margaret Martin and Carrie Williams. Survivors include her brother, H. Filmore Melick of West Liberty, Iowa; two granddaughters, Amy (Clayton) Henderson of Lewis Center, Ohio and Sara Worthley of Baldwinsville, NY; and her beloved great-grandchildren, Joseph, Chloe, Chiara and Caleb. Services will be held privately and burial is planned at Arlington National Cemetery where Marion will join her late husband.